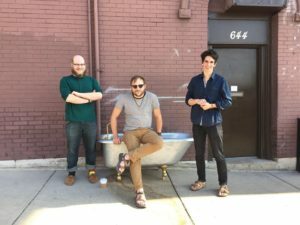 A concert celebrating Adrenaline Mike's birthday and basically anything anybody else wants to celebrate (birthday, marriage, new car, vasectomy, random stuff). Woot!! The Faith Hills Have Eyes (Madison, WI) https://www.facebook.com/thefaithhillshaveeyesarerad/ SpeedStab (Appleton, WI) https://www.facebook.com/SpeedStab/ Bitter Cold (Madison, WI) https://www.facebook.com/thebittercold/ Reflection of Flesh (Milwaukee, WI) https://www.facebook.com/ReflectionofFlesh/ FREE Show! 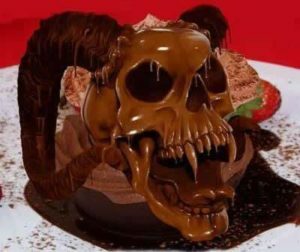 And yes, there will be cake! 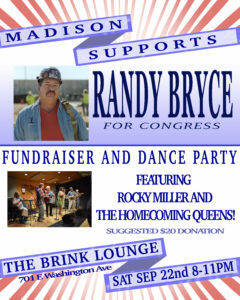 Fundraiser and Dance Party featuring Rocky Miller and the Homecoming Queens to support Randy Bryce for Congress in WI 1st District.